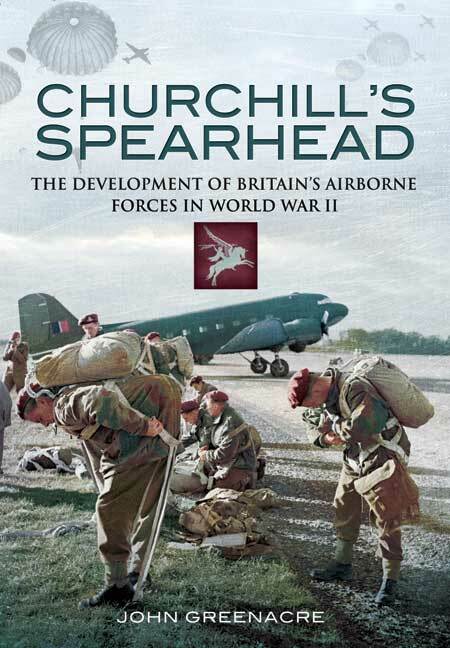 You'll be £19.99 closer to your next £10.00 credit when you purchase Churchill's Spearhead. What's this? This book covers the inception, growth and employment of Britain's airborne forces (parachute and glider-borne formations) between June 1940 and March 1945. It takes a comparative approach and follows tailored lines of development. Each of these lines - politics and policy, equipment and technology, personnel and training, command and control and concepts and doctrine - influence each other. Politics and Policy: The political environment within which the major decisions were made concerning the concept of development of Britain's airborne forces. Churchill's personal contribution, the effect of inter-service rivalry and the influence of other government departments. Equipment and Technology: The methods and obstacles of procuring and supplying the bespoke equipment required by airborne forces. The supply of combat equipment, the provision of support aircraft and the procurement of gliders. Personnel and Training: The effort incurred to man the new force and the effect of different approaches to recruitment and training. The selection and recruitment of airborne personnel, the individual training of paratroops and glider pilots and the role of collective training prior to operations. Command and Control: The ability of individuals in key appointments to influence the path of development and the operational and tactical employment of the force. The reaction and approach of higher commanders to the new capability, the selection and impact of commanders within the airborne force and the influence of the airborne staff. Concept and Doctrine: Examines the manner in which Britain's airborne forces were employed and performed on operations in the Mediterranean and northwest Europe. How the development of the airborne concept was influenced by physical constraints (equipment and personnel), the ideas of higher commanders and the German example. The impact of individual commanders and physical limitations. 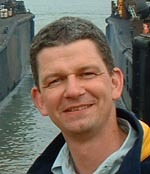 Commissioned Army officer since 1988, first in logistics but since 1994 in the Army Air Corps as a reconnaissance helicopter pilot. Operational deployments in the Gulf, the Balkans and Northern Ireland. Other deployments to Germany, the Falkland Islands, Canada and Kenya. Staff appointments in arms control, training, procurement and operations. Previous publications include When Opportunity Arises, The Employment of British Airborne Forces in the Mediterranean 1941-1945 and Allied Fighting Effectiveness in North Africa and Italy 1942-1945. This book describes the development of Britain's airborne forces throughout the Second World War, detailing the political squabbling which both hindered and assisted the movement, and the cumulative progress made in terms of equipment, training, and command of these forces. John Greenacre does well to form a relatively cohesive narrative of these most difficult and varied subjects, and the result, though probably beyond the interest of the casual reader, is a very thorough account of the untold, behind-the-scenes story of how Britain's airborne forces came to be. As this book stands alone amongst a vast library of airborne literature which have glossed over these issues, it is compelling reading for the enthusiast and uncovers much that has not been published previously. Warfare always brings about rapid change, both technologically and conceptually more than the development of airborne warfare which, for the British Army, began with a vague idea by Winston Churchill in June 1940. Within 5 years this form of warfare, in terms of the British armed forces, had reached it's zenith when, on 24th March 1945, the 6th Airborne Division was dropped as part of the Rhine crossing. John Greenacre charts the development of the British airborne forces from their first deployment in 1941 through to the great aerial assault of the 6th British Airborne Division across the Rhine in March 1945. He details the equipment and technology of the airborne troops, their composition and training, command and control and less-tangible aspects of concept and doctrine. Churchill's Spearhead therefore tells the story of a mode of combat that may never be repeated and it is that which makes this publication a detailed and comprehensive study of very great significance. The British airborne forces played a significant and very important role during the Second World War. The main principle of airborne forces was developed during the 1930s by Germany and the USSR. The importance and significance of airborne forces was initially very desultory in the UK and the senior echelons of the British Armed Forces considered them unnecessary and wasteful of strategic resources. It was the Prime Minister, Winston Churchill, who really conceived the development of British Airborne Forces. His suggestions and directives on this were carefully sidestepped by the armed forces and his initial demands were subject to major dilution. He demanded 5,000 airborne soldiers and the commands suggested that they could develop a unit of no more than 500. Not only were Churchill’s plans subjected to resistance but there was major infighting between the Army and the Royal Air Force. These detailed and complex political manoeuvrings are well documented in the book. Dr Greenacre has done an excellent task of discussing the various points of view and how the various government offices kept “passing the buck” amongst themselves. Given the careful consideration of the political machinery by Dr Greenacre it is amazing that Britain ever established the elite and successful airborne units that it eventually had. After considering the politics of airborne forces the book moves on to consider the equipment and technology needed to support such warfare. Topics considered include the development of parachutes and the personal equipment required by the soldiers as well as the capital equipment such as appropriate aircraft, vehicles etc. The early trials found that most of the RAF’s aircraft and the army’s equipment were not well suited for airborne troops. The initial method of dispatching paratroopers was via holes in the floor of bomber aircraft. Clearly these modes of operation were unsuited to large scale operations. Dr Greenacre gives a splendid treatment of these difficulties and how they were overcome. The training and selection of men was a vital component to the establishment of large scale airborne formations. The careful selection and training methods of the paratroops and glider forces is given a superb and detailed treatment. The doctrine of this branch developed over a very short period of time. The initial view of the high command was such that ‘we don’t need airborne forces’ and this changed to the realisation that ‘airborne forces are a critical and vital component’. The doctrine of these elite forces therefore was developed over a very condensed period and it is vital to their attitudes, esprit de corps and tactics. The book discusses this very carefully and documents the evolution of the airborne concept and doctrine. The final chapter is devoted to summarising the role that airborne forces played in World War 2 as they had become a vital component of Britain’s fighting forces. They also showed that Combined Operations could be mounted and be strategically successful and that the various components of the military can work in harmony. This is an excellent text and if you are interested in the paratroops or glider forces then this book is highly commended. This publication is a detailed and comprehensive study of very great significance. This is a very useful contribution to the literature on airborne forces, providing a thoughtful and well researched look at the story behind the dramatic airborne operations on D-Day or at Arnhem, giving us a much better understanding of the reasons behind their success or failure. The author, John Greenacre, has served sixteen years in the Army Air Corps, commencing as a reconnaissance helicopter pilot deployed in operations in the Gulf, the Balkans, Northern Ireland and the Falklands. 'Churchill's Spearhead' is Greenacre's third publication. It covers the inception, growth and employment of British Airborne Forces between June 1940 and March 1945. As early as June 1940, Churchill ordered the formation and training of an airborne force and already by April 1941 was visiting Ringway, to watch an airborne demonstration which, however, only involved a parachute drop of sixty men from six Whitleys and a landing by five single seat gliders. Glider Pilot readers will recall that S/Sgt. Strathdee was the first Army Glider Pilot to solo on one of these gliders at Haddenham in March 1941. Many interesting details arise in the chapter on Equipment and Technology, such as the astonishing fact that 400,000 square yards of silk were required per month for parachutes as early as 1941, and 34,000 parachute containers were provided. The whole range of guns used by parachutists and glider borne troops are described and investigated, as are the Vickers tank, known as 'The Tetrach, and the American Locust carried by the Hamilcar. The Hotspur glider is described as having been a training glider but it was designed before the Horsa, in June 1940, as an eight-man assault glider, although never used as such. It was not until the Mk.III, with reduced wing span, that the Hotspur was designed for training and used as such throughout the war. The faults, plans and outcome of all the gliderborne operations are analysed in detail. The author examines the problems and difficulties involved in the creation of this new form of warfare, where senior officers had to be found from the existing branches of the Army, where some (all of whom are named) had more conceptual ability than others. Churchill was determined that an airborne force be created but the worldwide rigour of conducting the war caused him to leave to others the driving force which could have made more rapid progress.